Nokia hasn't always been a phone manufacturer. The company dabbled in paper products, footwear and tires before it became involved in the wireless industry. Starting today, it begins a new chapter as its Devices and Services division gets swallowed up by Microsoft in a $7 billion deal. Change is in the air, but very little is known about what exactly will be different now that the two companies are coming together in holy matrimony. Neither party was legally allowed to discuss details about the acquisition in public. Today, Microsoft gets to flip the switch and Nokia gets to switch its business cards. (A shame, since its cards are very happy-go-lucky.) But this is just the beginning of a lengthy move-in process in which the two companies can finally start working together as one. Chances are we'll still be asking questions about the merger several months down the road, but as execs explained to us, these kinds of procedures take time to get everything sorted out. For now, what should we know about the merger? 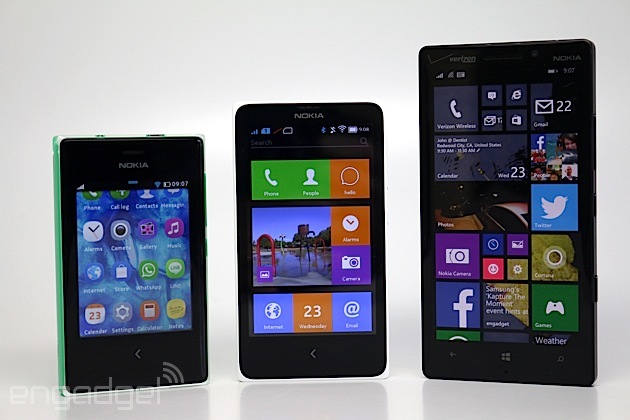 Microsoft will also control IP agreements and any third-party contracts related to Nokia's devices. Symbian should fit in this category, as well as any partnerships Nokia had with Qualcomm and other silicon companies. And in case you were wondering, the company's imaging talent will make the switch over to Microsoft as well. Since Microsoft retains rights to the Lumia and Asha brand names, the company will take advantage of them for the time being. Anything Nokia had in the pipeline will likely still come out in the next several months (unless Microsoft decides to veto certain products). A true Microsoft phone probably won't be seen for at least 10 months, since it usually takes a long time to push a device through the development process. 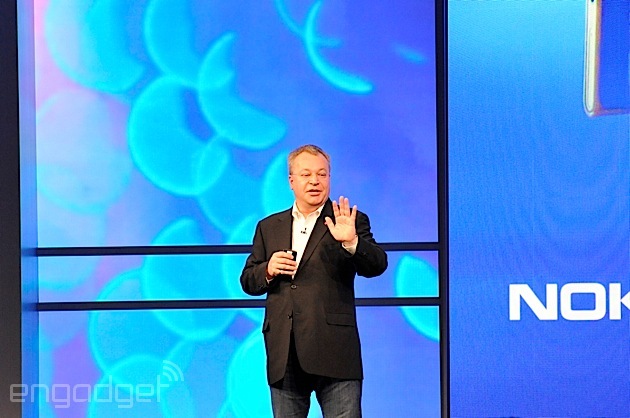 Stephen Elop, who served as Nokia's president and CEO, is now executive VP of Microsoft's Devices Group and will report directly to CEO Satya Nadella. In this role, he oversees the company's entire hardware lineup: phones, tablets, Surface, Xbox, Perceptive Pixel products (PPI) and even accessories. Additionally, 25,000 Nokia employees will make the transition over to Microsoft. Microsoft and Nokia were already the closest of BFFs, but they still had to act as separate companies. Even though the two collaborated frequently, they each had to go through different development processes; both companies had their own resources, tools, culture and trade secrets, which created a lot of inefficiencies. By bringing Nokia into the fold, Microsoft can now work on both firmware and hardware from day one, theoretically making the process of developing, manufacturing and distributing a new phone or tablet much more efficient. Additionally, Microsoft claims that with a greater understanding of how hardware and software work together, it will be able to apply that knowledge to its relationships with existing partners, developers and operators. If you own a Nokia device, nothing should change. Your phone won't mysteriously stop working or explode, but even if it does, Microsoft will honor any warranties you had in the first place. In a blog post, Elop reiterated his commitment to continued support for featurephones, as well as the Lumia, Asha and X lineups. We'd like him to be more specific, of course, but he likely means that Microsoft will stick to the current roadmap of new devices and firmware updates. Whether the company drifts away from this strategy later on is a different matter entirely, but existing Nokia users shouldn't notice any changes to their phones as a result of this transition. In a similar fashion, owners of other Windows Phones won't see any changes either. At the moment, there isn't any reason to suspect that Microsoft will magically stop working with other companies on updates or new devices; this wasn't the case with the company when it launched the Surface, and it appears that Microsoft is actually expanding its relationships with other partners, as we'll discuss shortly. How do Microsoft's partners feel? Aside from generic press statements, most of Microsoft's partners aren't discussing how they feel about the acquisition, but we're guessing there are mixed emotions. Reports say that Samsung teamed up with Google in China last month, arguing with regulatory officials that Nokia's patent-licensing fees would go up under Microsoft rule; in fact, licensing in general has always been, and will continue to be, a concern. However, a handful of new companies have stepped forward as Windows Phone partners, including LG, ZTE and Lenovo and several Indian phone makers, which suggests that many companies are embracing the change instead of shunning it. Perhaps these new partners are just open to the idea of launching a Windows Phone and are just waiting to see what happens after today's merger. After all, few if any of the listed companies have announced their plans, and the rumor mill is curiously dry. Granted, it's never a bad idea to have a partnership like this in your back pocket just in case it comes in handy. If any of Microsoft's partners (outside of Samsung) are worried about not getting equal treatment, they aren't speaking up about it -- of course, this wouldn't be anything new, since Nokia was considered the Windows Phone poster child ever since it started supporting the platform in 2011, so not much has actually changed in that sense. According to Microsoft, the future looks bright. However, mergers are historically much messier than the flowery press releases lead you to believe. They're often riddled with layoffs, and customer-support issues, so it's hard to believe that everything will just go as smoothly as planned. As more details about the transaction come to light, there are two areas that we'll be paying close attention to. The first is organizational: Will Microsoft keep all 25,000 employees for the long term, or will it have to streamline the workforce as is often the case? The second is in the form of device support. While Microsoft says it will continue to support Nokia's entire portfolio, will it eventually drop the X because it runs on Google's mobile OS? Will Lumia phones get Windows Phone updates before everyone else, or will the company treat all of its partners fairly? We still have plenty of questions, and now that Nokia's device division is part of "One Microsoft," the company can finally start answering them.